Viva Pit Señor! Is the chant of Mardi Gras like festival of Cebu City, Philippines. Cebu is the home of world-famous celebration Sinulog (Christian thanksgiving and culture celebration held on the third Sunday of January). The City is not just attractive cause of the rich culture but also with the great places to go to and activities to experience. 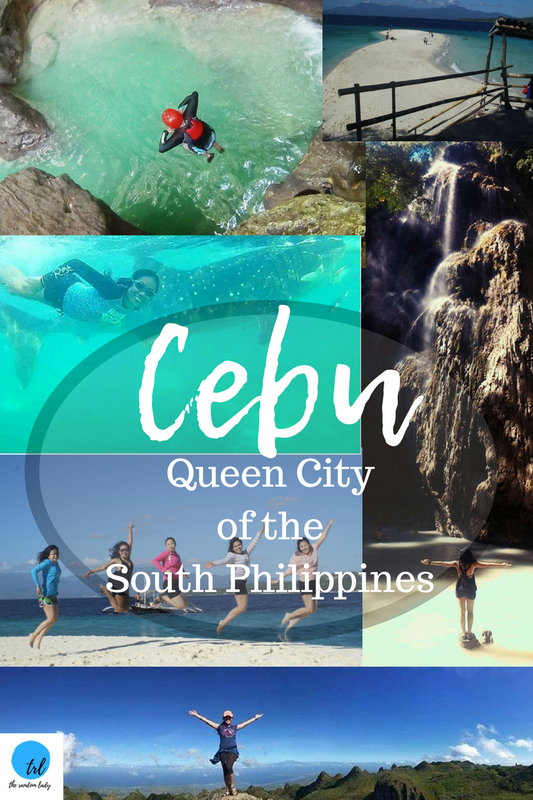 Cebu is in the Central Visayas region of the Philippines. City of Cebu is approximately 355 Miles (572 Kilometer) from Manila. The air flight is approximately 45 minutes to an hour from Manila. Me and my friends took the flight from Clark International Airport, luckily we got the flight on sale and save some for the tour. We planned ahead. 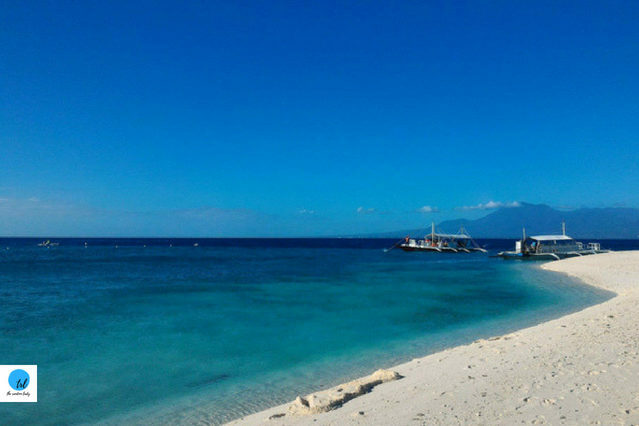 Our itinerary includes the Whale Shark sighting, Tumalog Falls, Sumilon island and Historical Heritage Sites on Day 1. And on Day 2 we have the Canyoneering (Kawasan Falls) and Osmeña Peak. Last day we had some City Tour. It is recommended to have a light backpack with essential things and OOTD (outfit of the day) for the tour. Cebu has this transportation called HABAL-HABAL (motorcycle that accommodates up to 3 passengers or more). So, for convenient travelling, have a light backpack. And for some activities like canyoneering, bring dry bag, heavy duty footwear and waterproof camera. 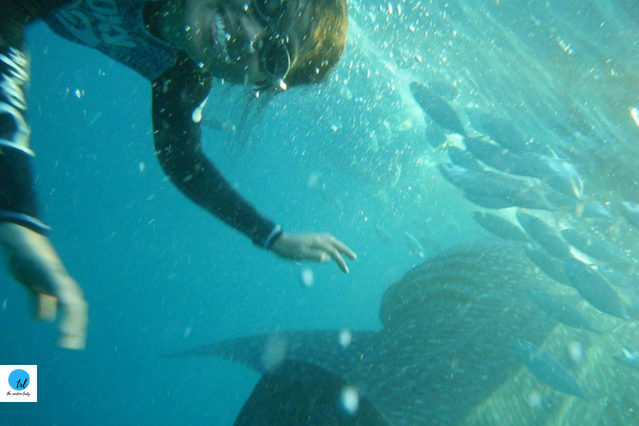 Some of the things to do in Oslob is the whale shark Sighting. 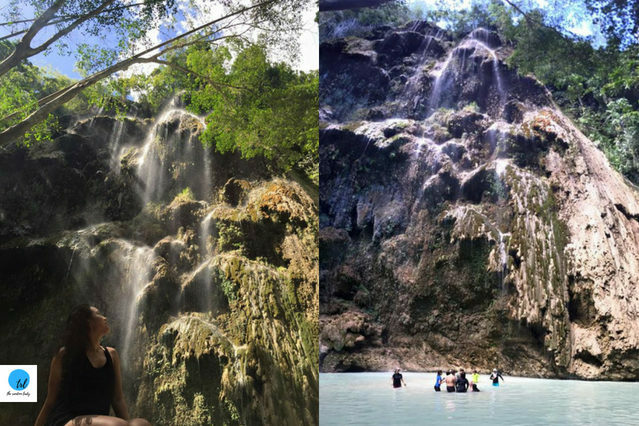 Beautiful places that must see are the Sumilon Island, Tumalog Falls and HIstorical Heritage Site. 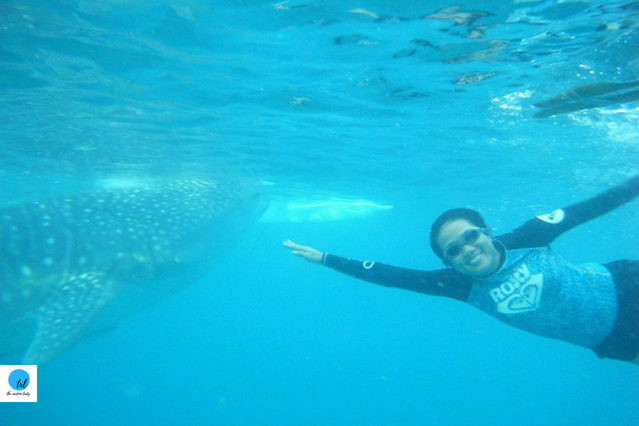 The Whale Shark sighting is a must do in Cebu. 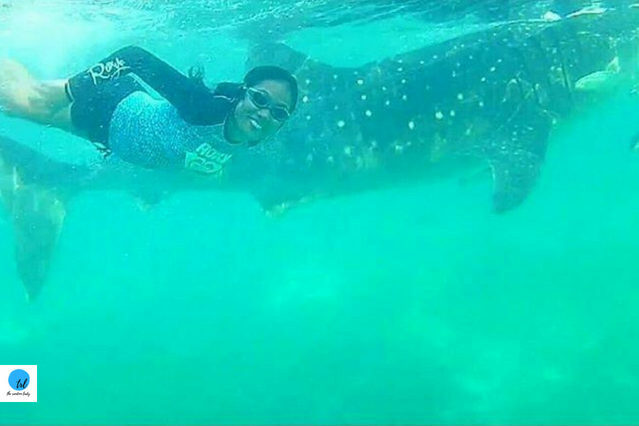 The whale shark sighting is in Barangay Tan-awan, Oslob, which is approximately 4 hour drive from the city proper of Cebu. This activity highly prioritizes the welfare of the Whale Shark. Before the tourists are able to start the activity, there is a brief orientation about the safety of the tourist and the whale shark as well. The fee is approximately PHP300 ($6 at the time of writing) for the locals and PHP500 ($10 at the time of writing). 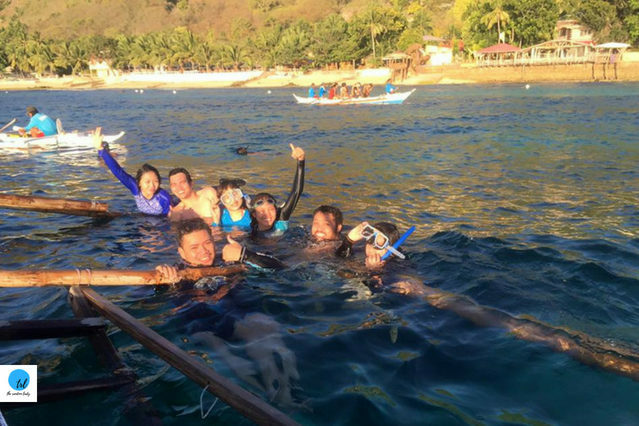 An additional of PHP 200(local) or PHP500 (foreigner) if will be snorkeling with the whale shark. Tourists are allowed for around 40 minutes of activity. It is encourage arriving as early as around 5:30AM in the area for early queue. But the downfall of first one to be in the water is not having enough light to capture amazing images with the whale shark. The whale shark sighting opens at 6:00 AM and last around 12:00Noon so better not be late. It is recommended to have breakfast before the whale shark sighting to get through the activities for the day. 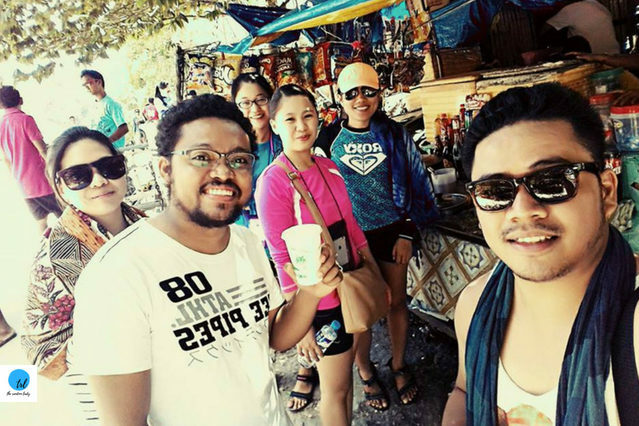 Because Oslob is one of the areas in Cebu City where you can have a lot of activities, it’s nice to gear up. 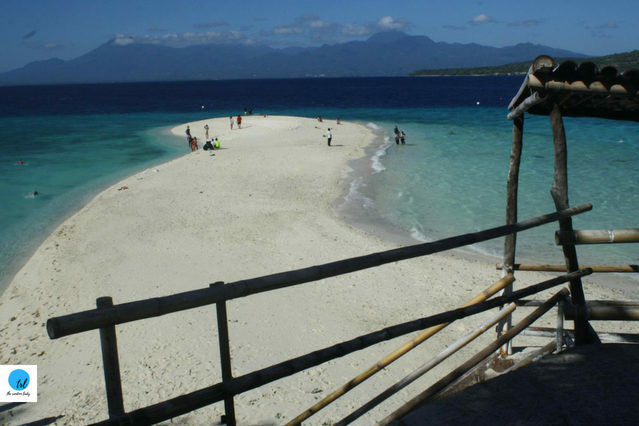 Small boat ride from main island to Sumilon island is approximately 10minutes. Since we are on a group tour, it’s cheaper to split the approximately PHP1,500(USD$28 at the tie of writing) boat ride. 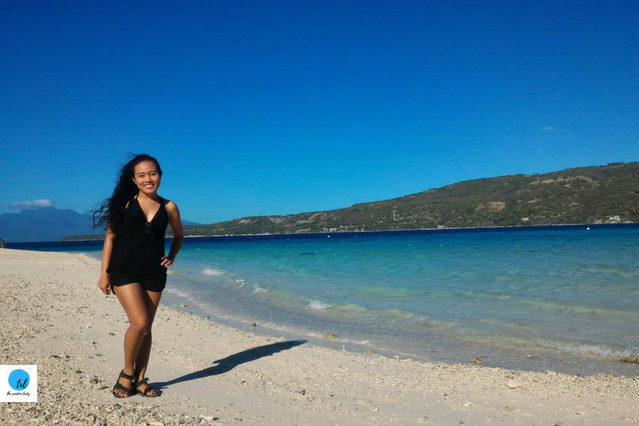 The Sumilon Island’s sand bar , clear water and white, powdery sand is a nice place to take a rest after the whale shark encounter. One of the places that must see around Oslob, Cebu City is the Tumalog Falls. We had the habal-habal (motorbike) ride going to Tumalog Falls from Tan-awan (where the whale shark sighting is). The habal-habal fare is around PHP120 (USD$2.50) for 2 persons round trip from where the whale shark sighting is. The motorbike ride is around 10mins to the drop off. You can advise the driver to pick u up at agreed time. From the drop-off, there will be around 9minutes of walk going to Tumalog falls. Don’t worry about the food as the area has little stores for snacks. The entrance fee is PHP20(USD$0.40). Depending on the time of the year you visit, the water falls heavy drops depend on the weather. 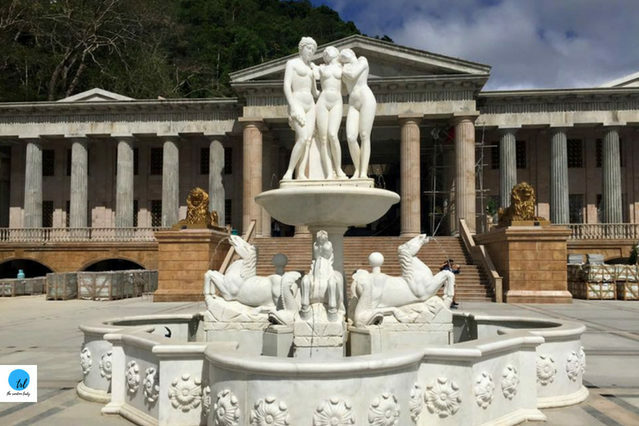 The majestic scene of the waterfalls to the beautiful turquoise color pool is fascinating. 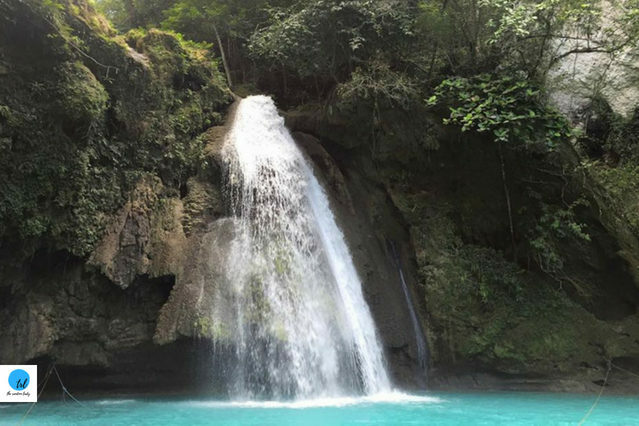 Tumalog Falls is definitely a must visit in Oslob Cebu City. 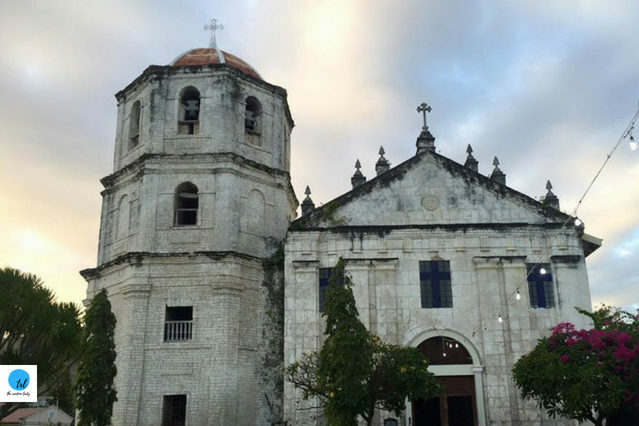 The Historical Heritage Site includes the Immaculate Conception Church and The Cuartel (Spanish Military Barracks). The structures are evidence of Spanish regime and religion influence. 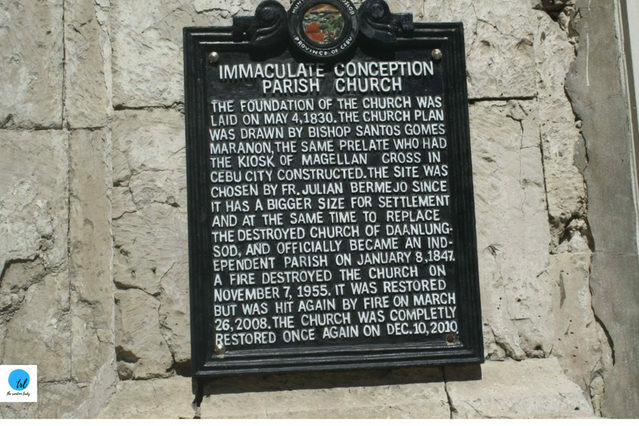 The Immaculate Conception Church was founded on 1830. Destroyed twice by fire on 1955 and 2008, the church was completely restored in 2010. 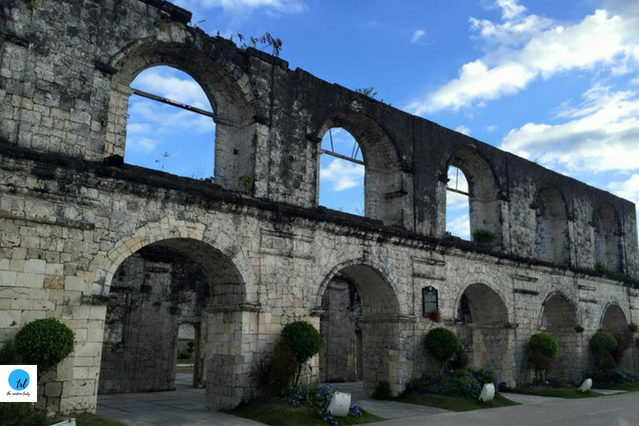 The Cuartel was built on 1898 by Spaniards but left unfinished because of the arrival of Americans. Philippine was influence and colonized by different foreign races that includes Spaniards and Americans. And these are evident with the structures, religion and different culture all around country. 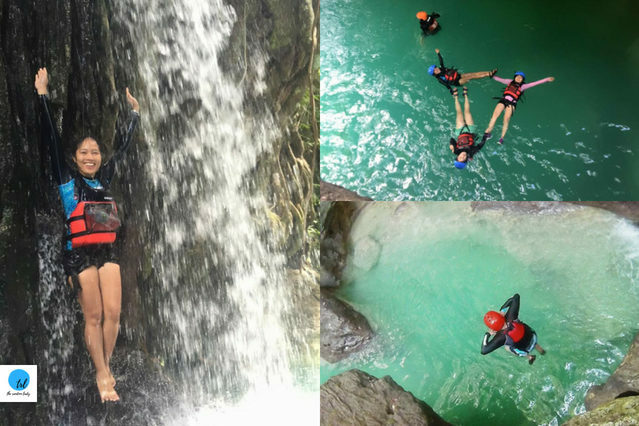 When planning to go to Cebu City, Canyoneering is a MUST TRY ACTIVITY in Cebu City. This is a different kind of trekking as you need to jump or dive off the cliff to continue the activity. 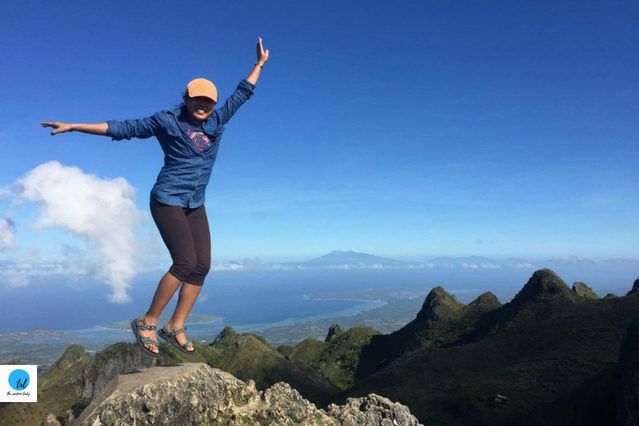 This activity is by group and lead by a registered guide (most trekking or hiking in the Philippines require a registered person to guide for safety precaution). Dry bag and waterproof camera are highly recommended for this activity. 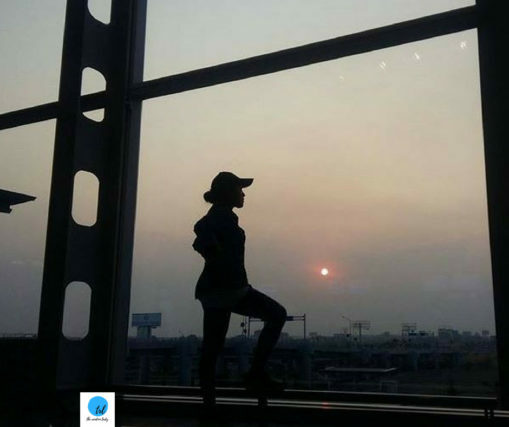 The tour is around PHP1500 (around USD$28 at the time of writing) per person. The tour includes resort pickup (back and forth usually by habal-habal ride), bottled water, lunch at the end of the activity, safety gear- helmet and vest and an optional aqua shoes. It is advised to wear heavy duty shoes or trekking shoes for this activity. The Tourism office allows Canyoonering activity from 6:00AM to 3:00PM. The Canyoneering starts at Canlaob, Algeria . The starter is jumping off the approximately 20 feet high cliff (this jump is required). There will be a lot of jumping off the cliff (some are optional) during the course on Canlaob river. This is a physical yet fun activity as many tourist felt different kind of achievement once they conquer the fear and finish the activity. Depending on the pace of the group, the activity last around 3 or 4 hours. 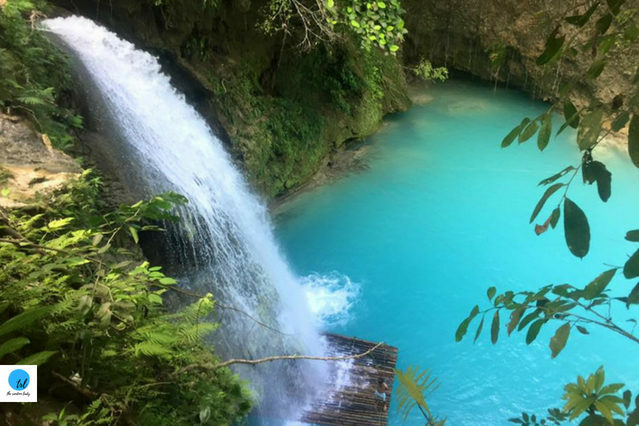 After the long journey, the finish line is the amazing view of Kawasan Falls and the lunch that is included in the tour package. 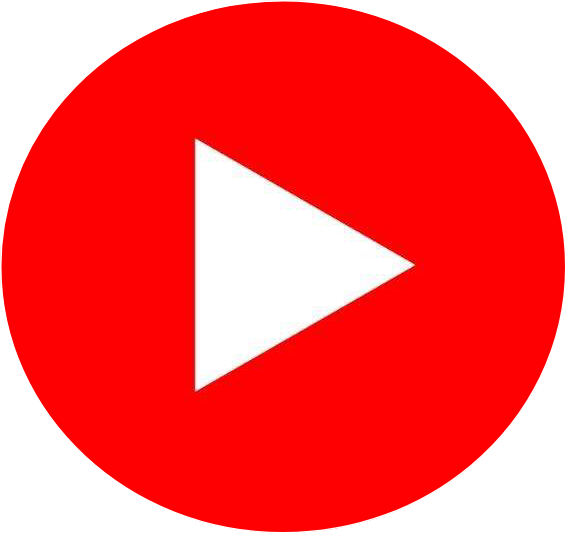 It is recommended to start the activity as early as possible. Therefore, you can avoid the long queue of tourist along the activity and you can have enough time for the other activity. From Oslob we took the habal-habal ride going to Osmeña Peak. 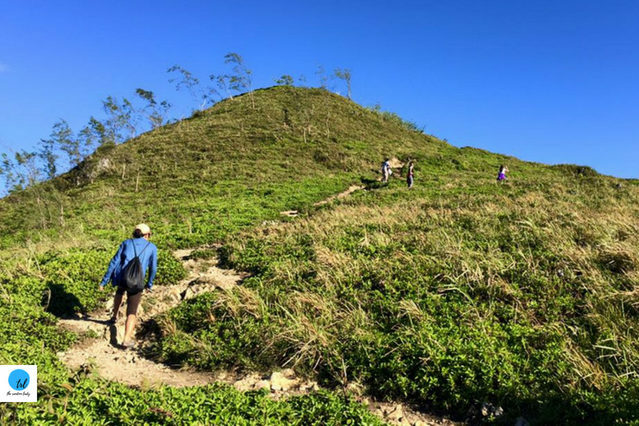 We have around 45minutes of trekking going to the top or highest point in Cebu. Osmeña Peak is around 1,073 MASL (Metres above sea level). 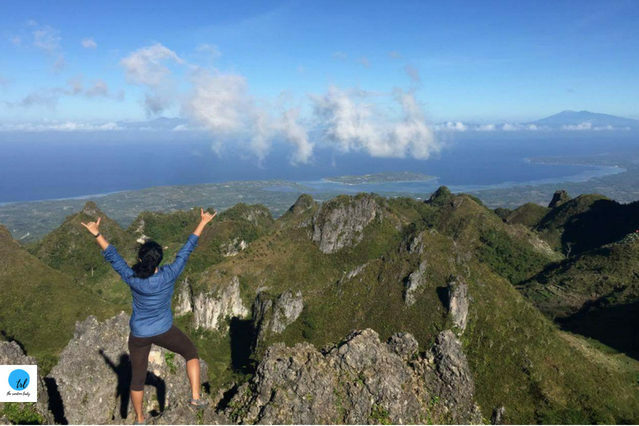 You’ll deeply appreciate the view from the top and take the challenging habal-habal ride and trek all worth it. The entrance fee is PHP30(USD$0.56). 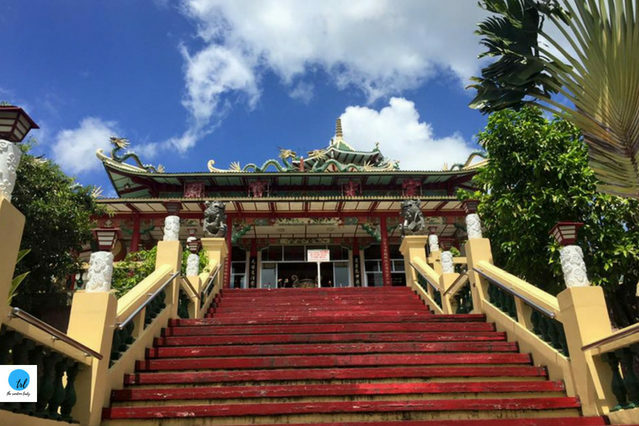 The Cebu Taoist Temple is one of the famous religious sites in Cebu. 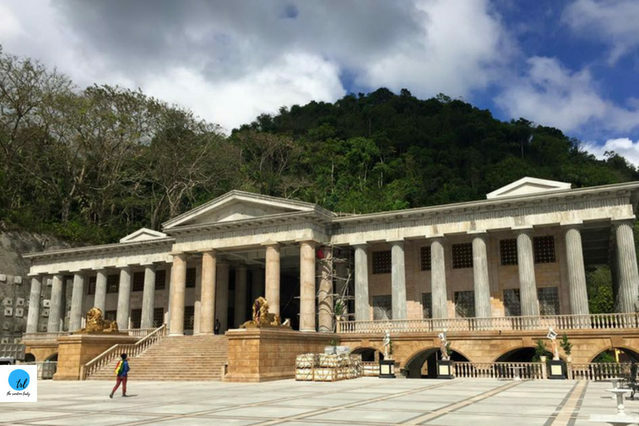 The beautiful structures and artistic built of the temple attracts a lot or tourists. 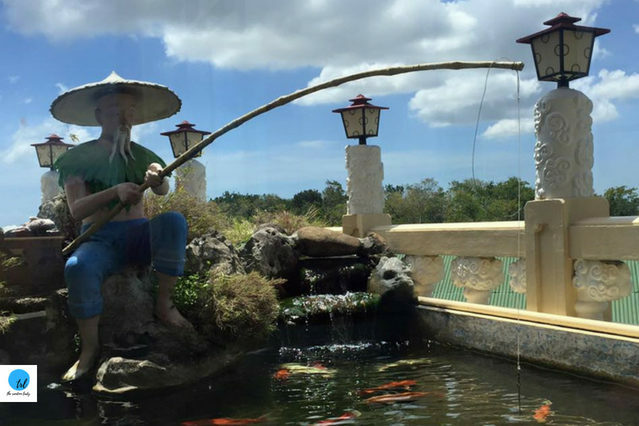 Built in 1972 by Taoism (Chinese) community and located in the upscale area of Beverly Hills Subdivision. 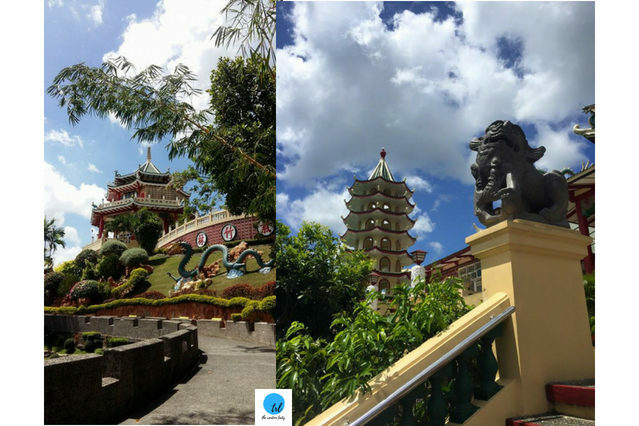 The temple is a great place to have panoramic scenery of Cebu City. 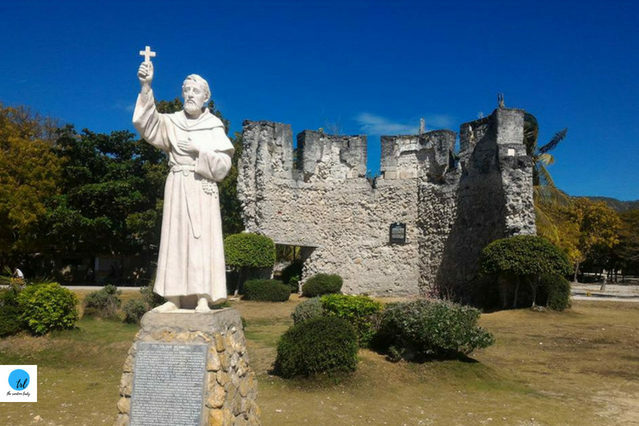 There are a lot of places to check and enjoy in Cebu City. On our last day, aside from going to the temples, we hangout for a little while in the mall and local stores for some souvenirs. 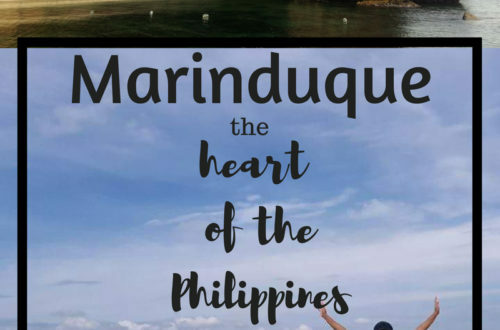 CLICK HERE TO EXPLORE MORE OF PHILIPPINES!!! Ever heard of dust-to-dawn party? Check TIGTIGAN-TERAKAN KING DALAN in Angeles City. Disclaimer: Some of the fee may vary according to the type of tour you avail. 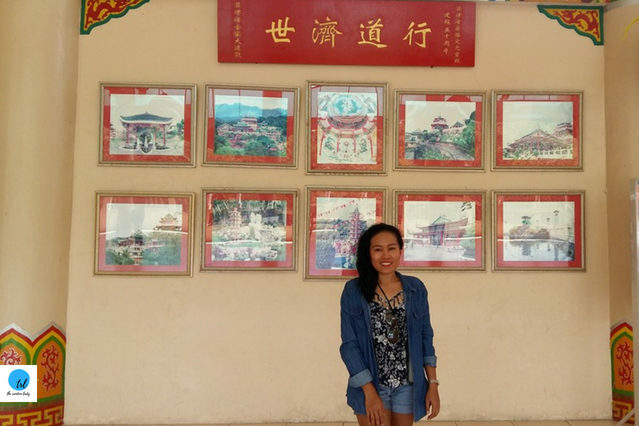 Some of the tour are do it yourself (DIY) by our group for cheaper and budget travel. What an exhilarating trip to Cebu. It seems too adventurous. The pictures are amazing! The pictures are lovely. Thank you for taking time to educate us about this place. I dont travel much but I think I might love to check this place out with a group of friends. Wow you make Cebu look so amazing! I’d love to visit! Wow such a beautiful place. Your pictures are perfect also. My friends and I have been planning to go to Cebu again! We have all the places in the city we want to visit, but we’re looking for some beaches and other nature spots to relax in. This post helped a lot! 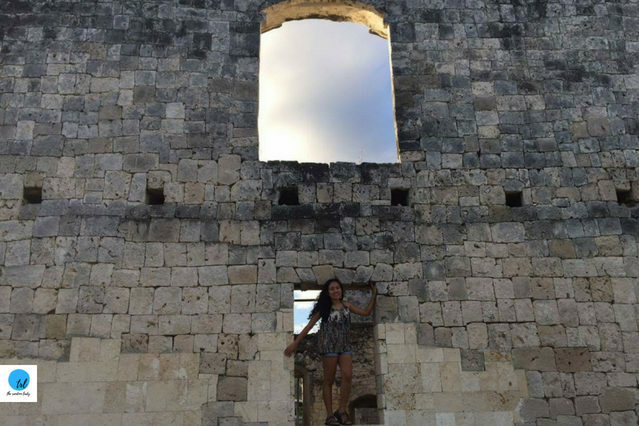 I love the perfect combo of nature and history within your trip! I went diving to see whale sharks before and it was such an incredible experience! It is such a nice trip to Cebu, Phillipines! I am going to plan a trip to Phillipines next year! Hopefully this blog will be the best suggestion for me to prepare for a nice trip! Your pictures are gorgeous! I am planning to visit Cebu very soon, it looks amazing. Wow, such a visual and verbal description of this city. Before this, I had only known about Machu Pichu as a place to visit. Thanks for such amazing inputs. You seem to have had lots of fun in cebu. I’ve been reading a lot about Philippines and I am planning to make my first trip. I hope to visit this place. From nature, to history to heritage to temples to malls. Cebu City seems to have it all. 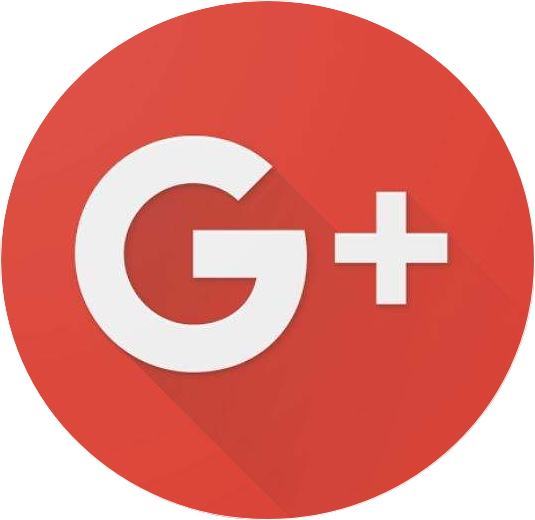 Never considered it so far but looks like we need to reconsider after reading this post! Oh great to see a fellow Cebuana. Actually, I was born in Puerto Princesa, Palawan but raised in Cebu. So I would say am 50% Palawaña and 50% Cebuana. 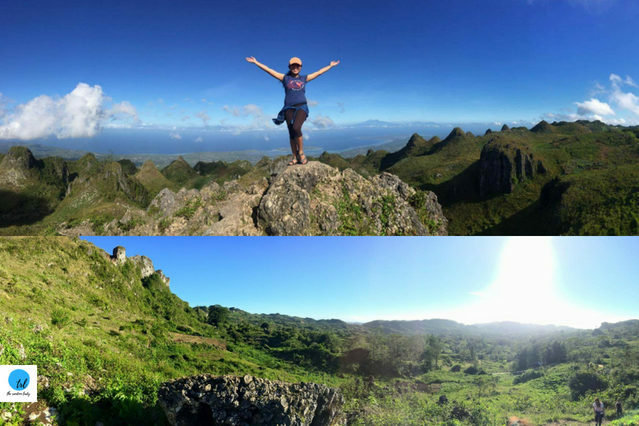 I love Cebu for its wonderful topography. wow Nice to hear. I just visited Cebu(but will definitely go back).My parents are from Bicol, but i was born and raise in Pampanga. This post gives me all the feels! 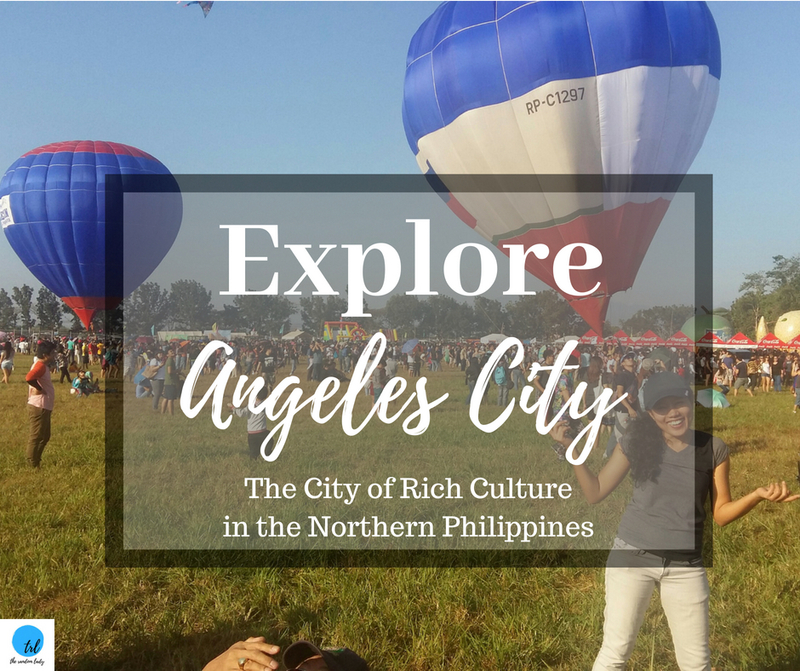 A few months ago I started planning a trip to the Philippines and had included a lot of the activities you mentioned here. I had to postpone my trip until 2020, but you just got me excited about it all over again! Wow oh wow! I have only been to Cebu once. 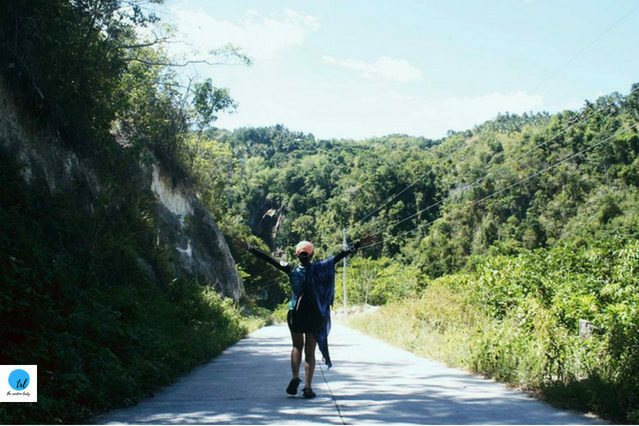 Your blog reminds me that there are more to explore in Cebu for me. Thank you. Awesome pictures and details that you provide, sounds like so much fun!! 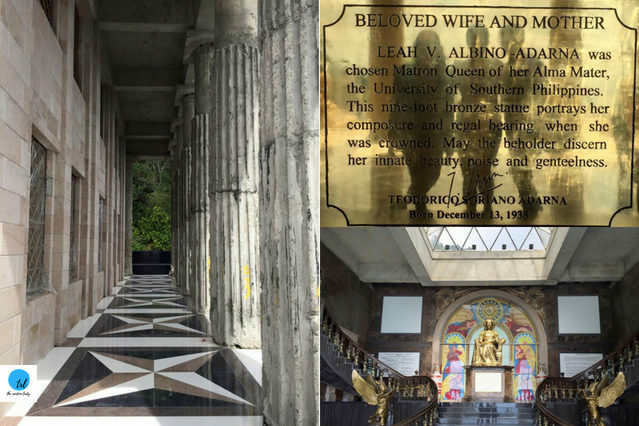 I have never been to Cebu City, but all of your “to-dos” for this area made me place it on my must visit list. This was a highly charged visceral reading experience for me. I’ve always enjoyed active vacations and this one exactly the type I normally take. I’m a diver and I’ve done some in India and spent 10 days on a liveaboard diving the Spice Island of Indonesia. The Philippines just moved up a few notches on my bucket list and Cebu will definitely included. Thank you, Dallas. You wont regret visiting Philippines, specially Cebu. enjoy! sana madami kayong mapuntahan. I’ve never heard of the city before, thank you for sharing. Do you live in the Philippines? Yes, i was. I’m in New Jersey now. Thank you. Looks so amazing, we need a vacation soon! quite tempting – must visit! especially loved the canyoneering part! It is a beautiful place. Thank you. its fun and the guides always keep safety. I think I will be too scared to swim with the sharks. You can stay in the boat. There’s a safety orientation before swimming with the whale shark. thank you also.. it is indeed amazing. Philipines look amazing!!! YOu definitely had a great time! yes, me and friends had so much fun. Thank you.